"Some ready-to-use cleaning products may contain chemicals that will cause redness or swelling of skin." ClearClean® products do not contain any harsh chemicals, known allergens or irritants. As with any cleaning product, although extremely rare, some people may experience some sensitization to ClearClean products. "Products may contain volatile organic compounds, which may escape to the atmosphere and react to form smog. Smog and other atmospheric pollutants have been shown to cause irritation of the eyes, nose, throat, lungs, and to cause asthma attacks." 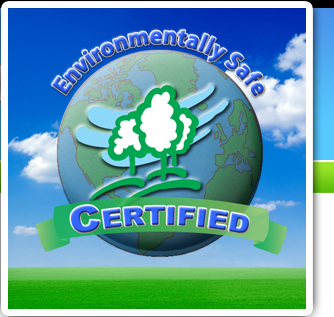 ClearClean products contain no HAP's (hazardous air pollutants) or ODS's (ozone-depleting substances). "This attribute does not refer to natural odors that are associated with cleaning agents (e.g., a lemon odor in a citrus-based cleaner); rather, it refers to fragrances that are added to improve odor or mask an offensive odor. Added fragrances have little cleaning value, but they provide aesthetic benefits important to many users. On the other hand, a basic principle of pollution prevention is to avoid unnecessary additives." ClearClean Products are formulated fragrance free for this reason. "This attribute refers to dyes that have been added to a formulation to enhance or change the color of the product. While the addition of these dyes contributes little to the cleaning value of the product, it may be important for safety reasons, such as differentiating among formulations. Again, a basic principle of pollution prevention is to avoid unnecessary additives." ClearClean products do not contain dyes. The natural color of our products range from a transparent amber to crystal clear. "Packaging is a large component of municipal solid waste landfills. A product's packaging can account for a significant portion of the product's contribution to municipal solid waste. EPA's recommended approach to managing solid waste is, first, reduce packaging of products and, second, recycle packaging materials..."
ClearClean products are extremely concentrated, which greatly reduces the amount of packaging. With "traditional" products, each time you buy the product, you are also buying the packaging. With the natural power of enzymes in ClearClean products you get 20+ uses out of each product. All of the primary packaging used for ClearClean products is 100% recyclable material. "Although packaging a product in concentrated form may result in reduced packaging, it raises the potential that the end users of the product will be exposed to the concentrate, which may place the end user at greater health risk than exposure to the ready-to-use product. " ClearClean products contain powerful triple enzyme formulas in order to provide maximum cleaning performance while reducing their effects on human and environmental health. > ClearClean Products do not contain alcohol, bleach, dyes, fragrances or phosphates.